I’ve traveled a fair amount in my 28-whole-years here on Earth, and I like to think that experience has taught me a thing or two about what items make cross-country (or trans-Atlantic) flights a bit more tolerable. Have you ever been the person in the security line who just. isn’t. prepared? You don’t have your laptop out, your coat isn’t off – and oh yeah, you have a full water bottle in your bag. C’mon. Don’t be that person. Be a pro and come prepared with an empty water bottle. My bottle of choice is this Baiji option. When I’m not using it, it rolls up and takes up next to no space. Then, right before my flight, I fill it up at a fountain.Most airports have even caught on to the trend and now provide filtered water from fountains.I’ve never had any problems with it leaking, either — always a plus, since I’m always spilling on myself anyway. I bought this in a set of three — my fiance and his brother enjoyed the other two. I dragged this thing alllll over Europe and it’s held up super well since. They have a bunch of different options on offer, and donate a portion of each sale to dolphin rescue and protection organizations. Read even more about Baiji at the end of this post. of ankle socks into my purse, whip them out to get through security, and then lounge in them for the flight. After the flight, I toss them in a pouch in my suitcase, so I can add them to the dirty laundry bag later. This might be where I lose some people. Yes, I take my shoes off on long flights, but only while I’m at my seat. It’s just more comfortable in a situation where I’m already feeling cramped. Gross? Maybe a little. But no grosser than using the airline-provided blanket, or even using the lavatory. 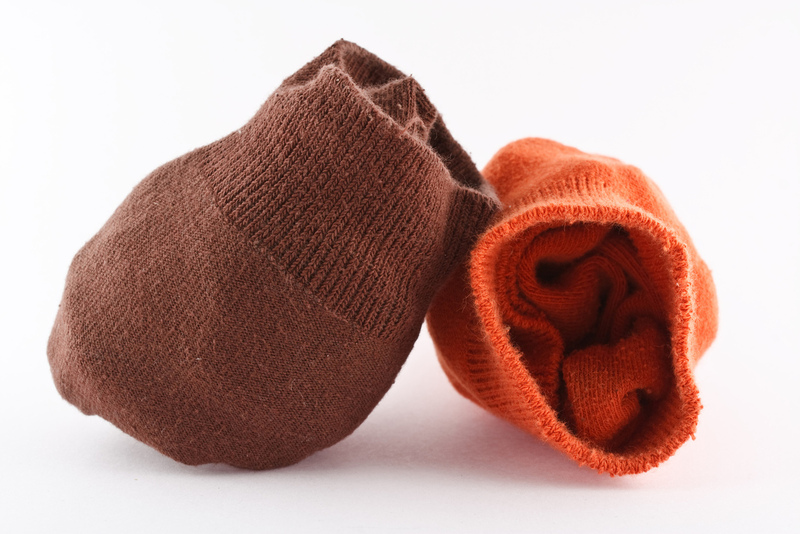 That said, you do not want to be the person who is lounging in the same socks they’ve been walking around in all day. Can you say smelly? I know. I know. This seems like something Gwyneth Paltrow would post on her blog. But if the girl who constantly looks for ways to save money is telling you it works…it works. After flying so many times and ending up with dry, bumpy skin in the days following, I was willing to try anything. There are many different kinds of spray available, but I went for the Mario Badescu brand, mostly because I love their pimple cream so much. It was $7 through Amazon, but it’s been 5 months since I got it and there’s plenty left. Totally worth it to feel refreshed and healthy upon arrival. I can’t recommend this baby enough, especially for international travel. I was so worried about getting ding’d by budget airlines in Europe that I pre-packed my suitcase and weighed it so I knew how much room I had to add souvenirs. As it turned out, it came in handy while on the trip, too. We were able to weigh our packed suitcase before we even left for the airport — meaning we had time to transfer items to carry-on bags/drink that last bottle of beer. I bought this one from Amazon because the price was right, but it got the job done with no issues. 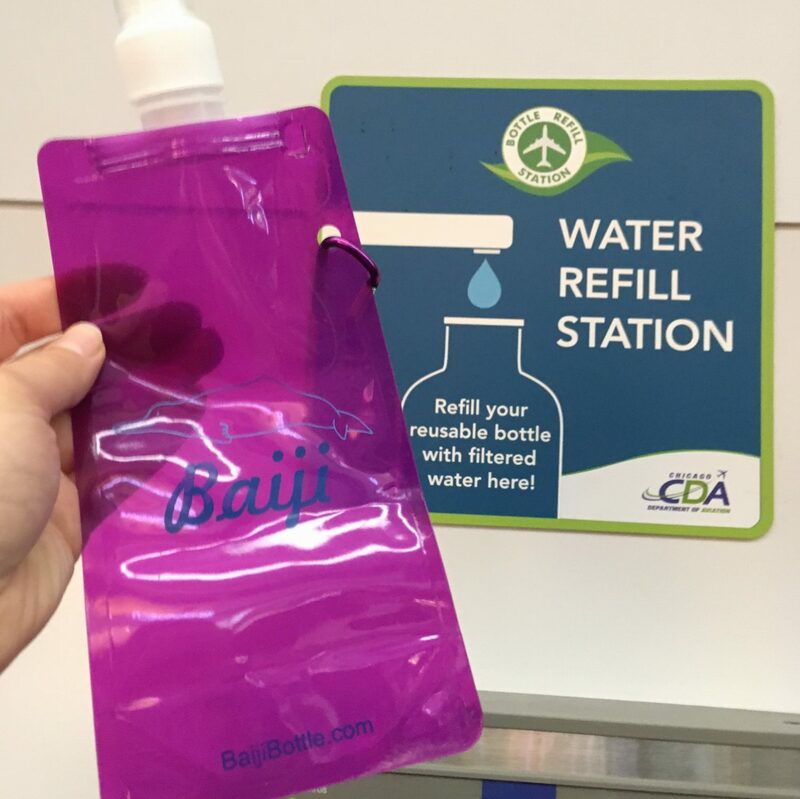 Because I loved my Baiji bottle so much, I contacted them to see if they’d be willing to send a bottle or two for a reader giveaway. I have to tell you, they are so nice, professional and generous. Baiji donated enough product for FOUR different readers will receive a prize. How awesome is that? 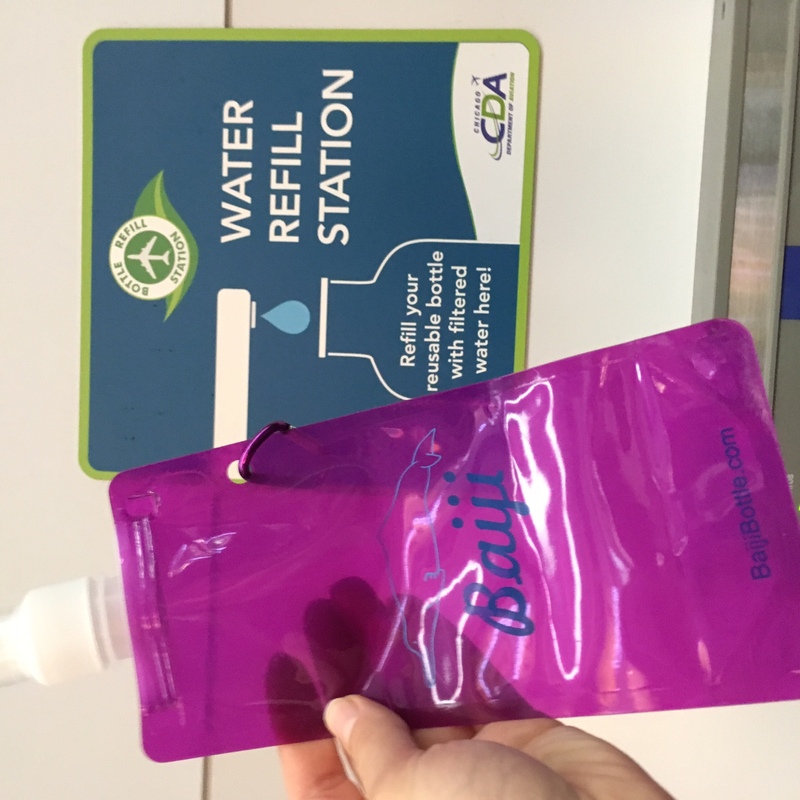 A HUGE thank you to Baiji, not just for creating this great product, but for their generosity. I can’t wait for you guys to give these a try! Like I said before, Baiji donates a portion of all sales to dolphin rescue and protection organizations. 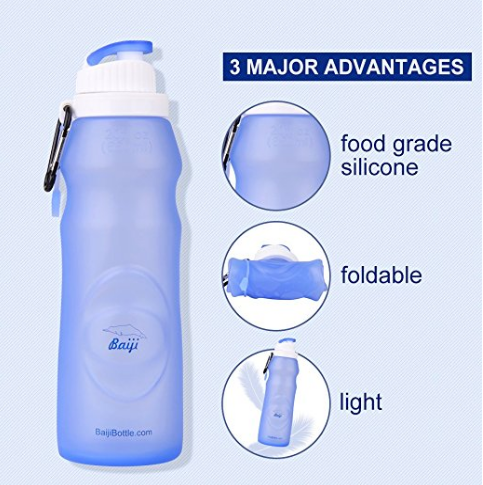 In fact, Baiji donates 10% of all profits from their classic Baiji bottle set. Pretty cool, right? I know I always appreciate when I can get a quality product for a good price, while also helping the planet. Win-win-win. To the giveaway! 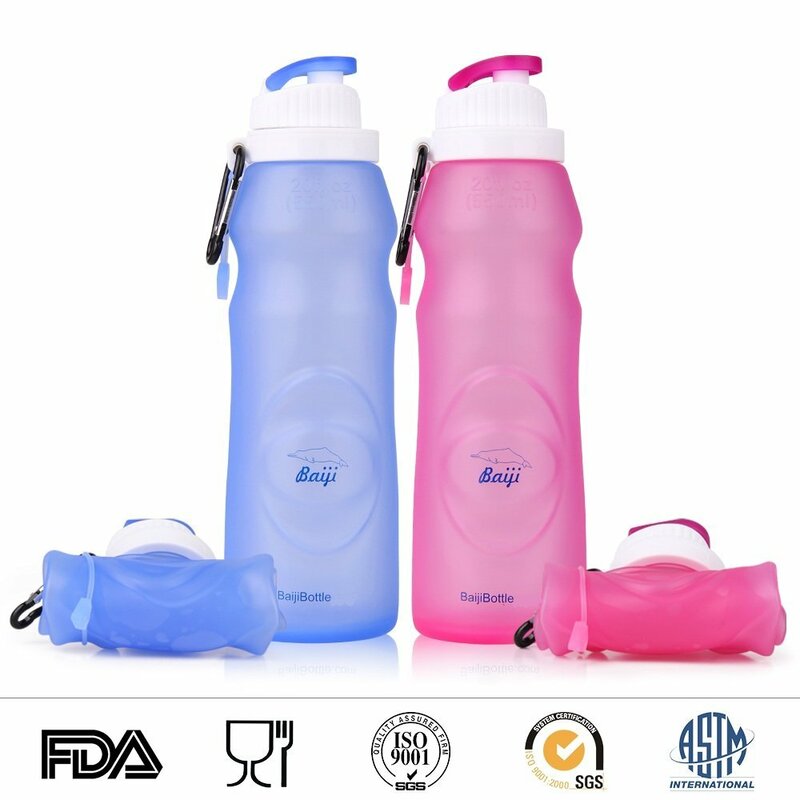 Two winners will receive a large Baiji Bottle (750 ml) and two winners will receive a set of two 16 oz. bottles. Just fill out the form below, leave a comment and you’ll be entered. The giveaway will close at midnight CST on November 3. Giveaway has ended. Congratulations to our winners: Amy, Brandi, Karla and Allison! 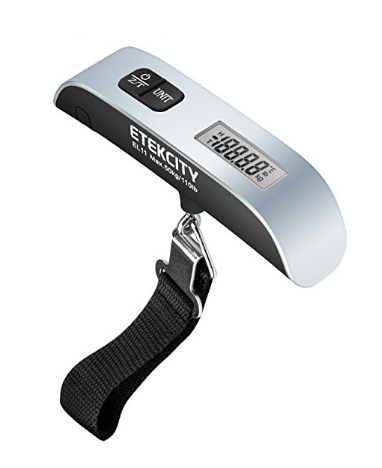 What’s your favorite travel accessory? My skin is super sensitive in the winter months here in Chicago, so I’ll have to give that brand a try. 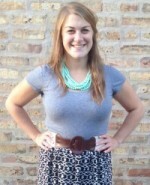 Thanks for stopping by, Karla! Those water bottles look cool! Just traveled on a plane today. I wish I had this water bottle!